Are microwaves dangerous? Do they zap the nutrients in your food? And are microwave-safe containers really safe? Microwave ovens are found in millions of kitchens worldwide. They’re one of our greatest cooking innovations, combining safety with efficiency and convenience. But there are a lot of myths about how microwaves work and what they can and can’t do. 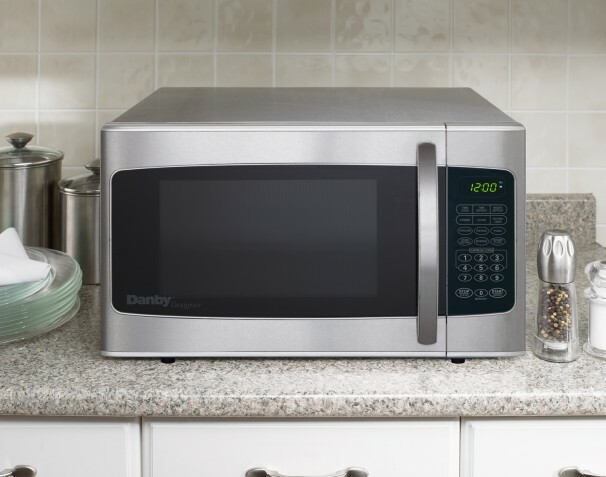 We’ve uncovered the truth behind the top five microwave myths. Myth #1: You should never use plastic containers in a microwave oven. Truth: Plastic is perfectly fine – as long as it’s microwave-safe. Not all plastics are created equal. Different kinds of plastic are made from different compounds. Some plastic containers are made to store food, while others are not. The US Food and Drug Administration has given the all-clear for plastic containers labeled for microwave oven use. Only use containers labeled as microwave-safe, and throw out damaged containers. If you can’t find the label, use glass or ceramic containers instead. Truth: Microwaves often preserve nutrients better than regular ovens. Want to eat right and improve your health? Don’t let this microwave myth get you down. Truth is, food always loses some nutrition when it’s cooked. Some nutrients, like vitamin C, break down when exposed to heat, while vegetables like broccoli leach out nutrients when cooked in water. But since microwaves cook times are shorter, cooking with a microwave oven can help keep those nutrients in. To get the best nutritional value, reduce cook time and cook vegetables using less water. Myth #3: Microwaves don’t heat your food evenly. Truth: With the right settings and cook time, microwaves get the job done. Even the simplest meals take preparation to be great. For best results, don’t just throw your meal into the microwave – think about it first. Since microwave radiation doesn’t travel far, big plates of food take longer to heat evenly. You can speed up the process by plating your food appropriately. For meals with different kinds of food, like a stir-fry, turn down the power and turn up the cook time a bit. This ensures that your noodles and veggies are ready all at once. Myth #4: Microwave ovens are dangerous. Truth: Microwave ovens pose no health risk when used according to the instructions. It’s true – microwave ovens use radiation. But Health Canada, the FDA and the Cancer Society agree that well-maintained microwave is completely safe. To bust this microwave myth, we need to talk about how microwave ovens work. Microwave ovens heat food using a low-energy radiation called microwaves. These energy waves cause water molecules in the food to vibrate, creating a rapid rise in temperature. Microwaves are a non-ionizing radiation, meaning they can’t alter molecules the way x-rays and gamma rays do. The waves don’t stick to the food or change it in any way, and they disappear when the microwave is turned off. The microwaves are fully contained inside the microwave oven itself. As long as the door is shut, the microwave poses no risk, even in close quarters. That means you’re free to lean in and stare as your meal rotates to perfection. Myth #5: Microwave ovens are only good for leftovers and frozen dinners. Truth: The only limit is your culinary creativity. Are you using your microwave to its full potential? The internet is home to a whole world of recipes and tutorials for microwave cooking. You can make everything from cookies and cake to kabobs and casserole. Explore the possibilities! With those myths debunked, it’s time to get cooking. Danby has stylish, efficient microwaves for every kitchen. Check out our latest models or call one of our knowledgeable associates at 1-800-263-2629.